LifeFit Physiotherapy provides hands on treatment techniques for the relief of back and neck pain, as well as more complex injuries. Our award winning physiotherapy clinics, servicing Sydney's St George medical precinct, have highly skilled male and female physiotherapists who will promptly and efficiently get you back to sport, work and normal life. Sports injury Physiotherapists for the St George area. Prompt and effective treatment to get you back on the field quicker. 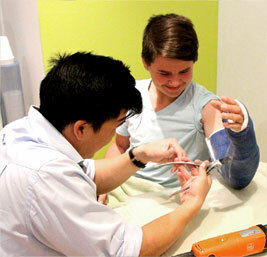 Providing Sydney Physiotherapy in Kogarah, Carlton and the St George region. Providing effective Hydrotherapy for the St George and Sutherland Shire. We are able to treat athletes of all levels of ability given our strong commitment to detailed assessment of biomechanics and mechanism of injury. Our physiotherapists understand that this is can be a stressful time and endeavour to facilitate an efficient return to work. Our physiotherapists have a strong link with the local specialists and surgeons to ensure each patient has successful rehabilitation from surgery. Casting is usually applied to fractures to immobilise the joint and hence provide correct positioning of the fractured bone. LifeFit Physiotherapy provides a wide range of equipment and supports to assist rehabilitation of your injury. Hand Therapy is a type of rehabilitation for patients with conditions affecting the hands and upper extremities. Incorporating specialised techniques to muscles, tendons and joints, massage has the ability to restore one’s body physically, mentally and spiritually. Hydrotherapy can help relieve pain, promote relaxation, mobilise joints, strengthen muscles, develop balance and coordination, and improve general fitness. Exercise may be prescribed for musculoskeletal injuries, work-related injuries, pre and post operative rehabilitation and neurological conditions. Our female physiotherapists are clinicians with expertise in assessment, diagnosis and treatment or management of pelvic floor problems. We assist women throughout the changes that occur during and after pregnancy; specifically to the muscles, ligaments and joints. The aim of orthotic prescription is to re-align the foot and reduce loads on your lower limbs and spine. LifeFit Physiotherapy specialises in the treatment of all sporting injuries including the prevention of further injury. We are able to treat athletes of all levels of ability given our strong commitment to detailed assessment of biomechanics and mechanism of injury. We can also help enhance performance in elite athletes and are able to prescribe exercise programs suitable to every patients’ needs. We are committed to timely rehabilitation and return to sport whilst liaising with your GP, specialist and coach. LifeFit Physiotherapy has had long term involvement with numerous soccer teams including St George FC, Fraser Park FC and Carss Park FC as well as the NSW Waratahs Rugby. 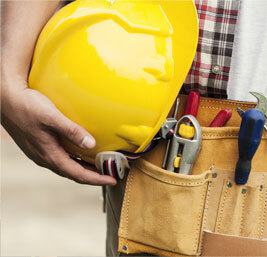 All our physiotherapists are WorkCover and CTP approved practitioners who can assist with injuries which are work-related or caused by motor vehicle accidents. Our physiotherapists understand that this is can be a stressful time and endeavour to communicate closely with your nominated treating doctor to facilitate an efficient return to work. LifeFit Physiotherapy has a strong link with the local specialists and surgeons to ensure each patient has successful and efficient rehabilitation from surgery. Rehabilitation may involve adhering to a post operative protocol or tailoring your program to fit your individual needs. LifeFit Physiotherapy aims to work collaboratively with each patient to achieve their goals of returning to sport, work or daily activity. Physiotherapy can be useful to either delay or prevent surgery altogether however, should surgery be the only solution, physiotherapy can be useful for numerous operations including arthroscopy, spinal surgery and joint reconstruction or replacement. Our physiotherapists and occupational therapists are trained in the unique skill of casting and splinting to immobilise or passively assist joints and muscles to return to function. At LifeFit Physiotherapy, we use both waterproof and non-waterproof fibreglass casts depending on a patient’s individual needs. Splinting is usually a non- circumferential custom made brace made from thermoplastic material and aimed at unloading tendons, muscles and/or joints. Remedial massage therapy involves a systematic assessment and treatment of the muscles, tendons, ligaments and connective tissue of the body to assist in rehabilitation, muscle tension, pain and injury management. It is also useful for the non-injured person who requires tension relief and relaxation. Incorporating specialised techniques to locate and repair damage to muscles, tendons and joints, massage has the ability to restore one’s body physically, mentally and spiritually. Hydrotherapy, or Aquatic Physiotherapy, is a specific form of physiotherapy treatment conducted in a heated pool. Hydrotherapy combines both hands-on pool physiotherapy and specifically designed exercises (different to swimming or aqua aerobics) supervised by physiotherapists with specific training in hydrotherapy. Our physiotherapists are in the water throughout the session to instruct clients. Hydrotherapy sessions are conducted at the Lyons Hydrotherapy Pool at St George Hospital. 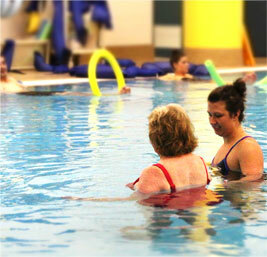 Patients do not need to be able to swim in order to benefit from hydrotherapy. Our physiotherapists and exercise physiologists are highly skilled in the area of individual exercise prescription. Due to the specific and unique needs and interests of each patient, the goal of exercise prescription involves successful integration of exercise principles and behavioural techniques to motivate the participant to be compliant and therefore, achieve their goals. Our physiotherapists are trained to assist women throughout the changes that occur during and after pregnancy; specifically to the muscles, ligaments and joints. Physiotherapy can provide expert care, advice, positioning, massage, relaxation and coping strategies. Orthotics are customised heat moulded shoe inserts which aid in improving alignment or biomechanics when walking, running and standing. Orthotic prescription is based on individual assessment of static positioning and dynamic biomechanics. Poor foot positioning can cause injury to the foot and can also be translated to the knees, hips and lumbar spine. The aim of orthotic prescription is to re-align the foot into the most biomechanically advantageous position and thus reduce loads on your lower limbs and spine.